"Helen is one of the best Animatuers currently working in Australia. Possesing a depth of understanding of both community & professional practice"
Wearable Art Mandurah 2016, Directed by Helen Duncan. In 2007 I graduated the Western Australian Academy of performing Arts with a BA Arts Honours in Dance. During this time I performed with Link Dance Company under the direction of Michael Whaites. Michael was former dancer with Pina Bausch Tanztheater Wuppertal in Germany and I like to think my choreographic process, creative interests and inspiration has been importantly influenced and informed by this lineage. I am interested in creating new work that reflects contemporary society and mirrors the people we are today; our cultural social affairs and how we exist on a day to day basis. In doing so, I hope to reveal an appreciation for a spectrum of modern human behaviour and tendencies including its beauty, its vulgarity, it’s wisdom, it’s stupidity and it’s simplicity. As an independent artist I have engaged with a broad range of roles and responsibilities including dancer, choreographer, artistic director, teacher, producer and project manager. This fluidity of job description is, in part, a necessary action for creating a sustainable career as an Australian independent artist. It has also significantly and positively influenced the way that I create new work and collaborate with others. I work with a strengths based approach; collaborating with others to identify and use individual strengths and assets to generate strong and authentic performance outcomes. 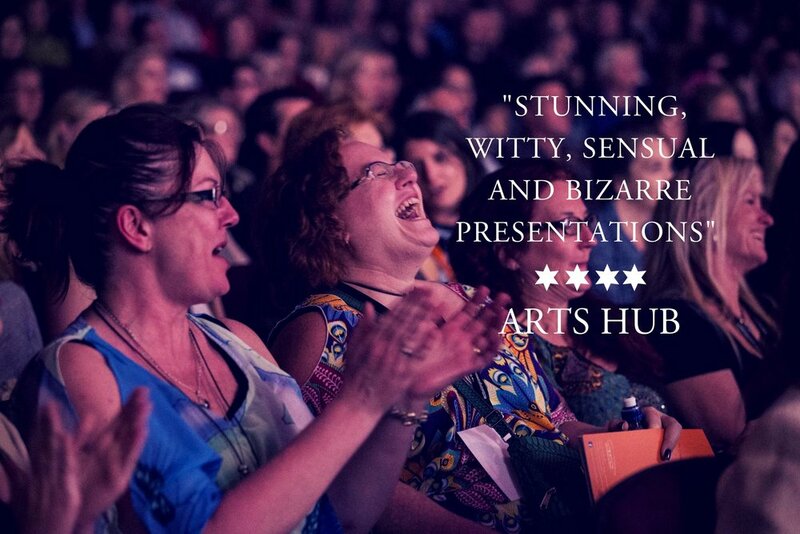 In collaboration with various other international and Australian artists, Helen has devised and performed in works presented at Edinburgh Fringe, Perth Fringe, Melbourne Fringe and Melbourne International Comedy Festival. In 2007 & 2008 Helen was engaged with the City of Mandurah as Festival Director for the City’s annual Stretch Arts Festival. In 2009 she relocated to the United Kingdom where she was appointed Dance Development Officer at the Northern School of Contemporary Dance. She was responsible for progressing the school’s dance initiatives and supported the touring activity of the postgraduate performance company, Verve. In 2012, Helen Co-founded Riptide Youth Company. Still strong the program engages young people in the Peel with cutting edge contemporary theatre and dance experiences. As Artistic Director she produced work for the company with leading artists such as Danielle Micich, Sarah Giles and Suzie Miller. Working in theatre Helen has provided choreographic support and movement consultancy for actors. She was the Artistic Director for Wearable Art Mandurah Showcase from 2014 - 2017. Most recently she worked with Elbow Room on their successfully received original production Niche. Helen has previously received mentorship from the KAGE Coach program and was awarded scholarship to attend a workshop series with Ultima Vez in Brussels and is a recipient of the Australia Council’s Arts Start grant.